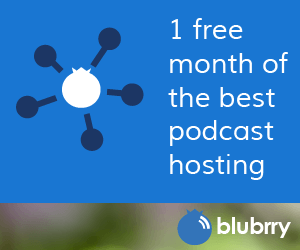 All Blubrry Podcast Hosting accounts come with No-Fault Hosting, complimentary data storage up to 25 percent above each service plan. No-Fault Hosting allows customers to maximize their monthly storage at no additional cost. For example, a 500 MB/month plan with only 25 MB storage remaining can go beyond the monthly quota and upload one more episode up to 150 MB in size. Our competitors set limits that, when exceeded, force you to upgrade or pay additional fees. At Blubrry, we want you to focus on your content, not your quota. Maximize your monthly storage, eliminating the need to upgrade to the next service level when you just need a little extra storage from time to time. Let your content to be organic. Never end a show because 1 minute more will push your quota over the limit. Get an alert when No-Fault Hosting is applied to your account. Know when you go over your limit so you can plan ahead rather than be surprised later. What happens when you exceed your quota and No-Fault is applied? We send you an email letting you know you went over your quota with the specific date your quota will be reset. This gives you the ability to plan for your next episode. You could decide to wait a few days for the quota to reset or enlist a larger service plan that better meets your monthly needs.